The founder of the Berlin-based travel activities website talks about why having a girlfriend is unusual and thinks living at 10 Downing Street would be 'awesome'. 1. IF YOU HAD DONE SOMETHING ELSE WHAT WOULD IT HAVE BEEN? Before I started the business, I was a neuroscientist working on mice in a lab studying behaviour. That would be my Plan B. 2. WHAT ELSE WOULD YOU NAME YOUR BUSINESS? In the very beginning I had two names. The other name I came up with - this won’t be a big surprise - was Rent-A-Guide, which was a terrible name, so I’m very happy we didn’t choose that. 3. IF YOU COULD BE BASED IN ANOTHER CITY WHERE WOULD IT BE? I would say London. I’ve heard your city is the best. Realistically, if it wouldn’t have to be a city, it would be somewhere in the Bahamas – somewhere very relaxed, with a nice beach and good diving. 4. WHEN YOU STARTED, HOW DID YOU RAISE MONEY? In short, we didn’t, because no one wanted to give us money. We started it literally out of college and raised money from our parents. They had to put a loan on their houses, which, at the time, wasn’t exactly what they imagined for our future. 5. WHAT HAS BEEN YOUR MOST IMPORTANT DECISION SO FAR? Dropping out of a stable job and starting a company. It was a pretty tough decision, because I was just finishing up my studies, I was working in lab and I had my first job offers from the business world. I’ve made a lot of hiring mistakes along the way, particularly early on when I didn’t know who I was looking for. We hired people we never should have hired. It's something you learn along the way. 7. WHAT IDEA DO YOU WISH YOU HAD COME UP WITH? If we could have a drone that takes you by hyperspeed from your door to wherever you want to go, so Berlin to London is no further away than an hour, that would be amazing. 8. HOW DO YOU HANDLE STRESS? First of all, I have a girlfriend, which is very unusual as an entrepreneur - that helps. I run a lot. Yesterday we had a company half marathon, where everyone in the company who wanted to was running. I actually do take holidays, contrary to many other CEOs. My first job was an internship at Boston Consulting Group, which I did right towards the end of my studies when I was thinking about going into the business world. 10. WHAT WAS YOUR WORST JOB? I was this really low paid waiter at a student restaurant, working really late. It was like a karaoke student bar. The best job that I’ve ever had is the current job. That’s an easy one - I really love it. I haven’t had many jobs, given that I started straight out of college. I’ve never been formally employed apart from a couple of months. 12. IF YOU WERE ON THE APPRENTICE WOULD YOUR TEAM BE NAMED? My team would be – we’re facing Donald Trump right? – Team High Rise. 13. WHAT COMPANY WOULD YOU INVEST IN RIGHT NOW? One company I really like in Germany is GoEuro, which is focused on bringing the entire rail infrastructure online across Europe and will solve the problem of searching multiple websites. That’s a pretty daunting task, but I think it’s a pretty interesting company. 14. APART FROM PROPERTY, WHAT IS THE MOST EXPENSIVE THING YOU’VE BOUGHT? I’ve never bought a car, so I guess the honest answer is probably clothes. I’ve never spent too much money on personal items, as I’ve always been not too vain. I bought my first tuxedo at Austin Reed in London right after I graduated. I think that’s one of the most expensive things I’ve ever bought. I always have a combination – a blazer and jeans, but I’m definitely more jeans. 16. FLEXIBLE WORKING OR OFFICE HOURS? 17. WHAT IS YOUR FAVOURITE THING ABOUT THE OFFICE? We have these amazing pizza Fridays, where we have the best pizza in town, bands playing and a big party every Friday night. 18. WHAT APP CAN’T YOU LIVE WITHOUT? Whatsapp. I have a Whatsapp with my granny and my parents and my girlfriend, and we share photos and jokes all day long. So that’s my private life, basically. 19. WHO IS YOUR BUSINESS IDOL? Amazon’s Jeff Bezos, because he managed to build an amazing company at global scale, starting in one small category and building it out, and ultimately always putting the customer first. He’s the perfect example of someone who’s really thinking about the consumer and structures the decision making accordingly. 20. IF YOU WERE PRIME MINSTER FOR THE DAY, WHAT WOULD YOU CHANGE? It would definitely be very cool to be the Prime Minister of the UK, because then I’d get to live in an awesome house in downtown London. I would give all British citizens an extra travel grant that can they can spend abroad on things to do, because I believe British citizens are starved of unique travel experiences. 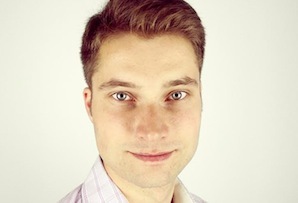 Johannes Reck is founder and chief exec of GetYourGuide.